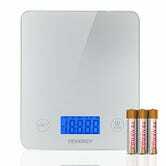 Today’s best deals are largely about New Year’s resolutions. 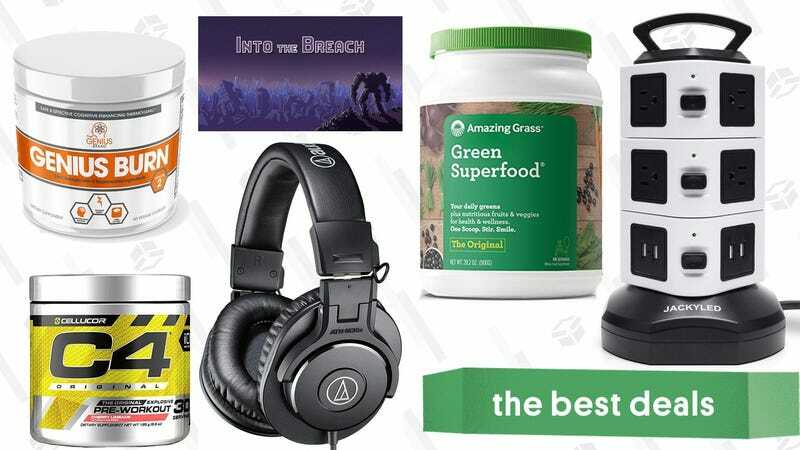 Supplements, superfood powder, and bathroom scales are a little on the nose, but they’re legitimately great deals. 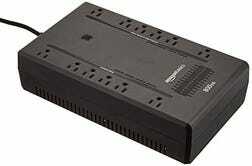 What were they thinking inventing this surge protector and not calling it the Power Tower? 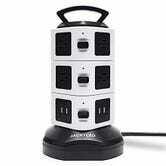 Missed marketing opportunities aside, it comes with 10 outlets, four USB ports, and its own 6ft retractable power cord. 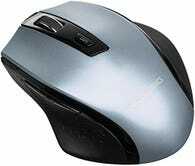 Plus, it rotates for optimum space-saving. Get it for $18 with promo code OFSZFNS6. If you don’t have the cash for your favorite Audio-Technica ATH-M50x headphones, you can pick up a pair of smaller (but still excellent) ATH-M30x cans today for just $59 on Amazon. They’re wired, yeah, but they’re worth it for the sound quality. If you’re missing Alexa when you’re not at home (or in your car), you can take her anywhere with this Amazon Tap. Plus, now that you can enable an always-on microphone mode, it’s a much better product than it was when it launched. You can get a refurb one for just $30 today on Woot, which is easily the best price we’ve ever seen. 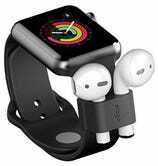 If you’ve ditched the iPhone on your runs and rely on an Apple Watch and a pair of AirPods for listening to music, this ingenious little accessory allows you to leave the AirPod charging case at home, too. At an all-time low $9 (after clipping the 5% coupon), the elago Wrist Fit is not actually an Apple Watch strap, but a second strap that you wear on your other wrist, with a built in holster for your AirPods. Or, for an all-time low $7 (no coupon required), you can get just the AirPod holder, and slide it onto your existing Apple Watch strap. 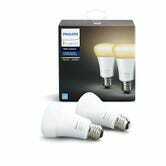 If you didn’t get all the Philips Hue lights you wanted for Christmas—or if you did and now find that you need to scratch that itch even more—Amazon’s discounted a few different Hue products today, with an extra 5% clippable coupon thrown in on top for good measure. 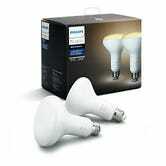 The bulb two-packs are White Ambiance bulbs, meaning they can display different temperatures of white (i.e. dim, warm light at night, and energizing daylight during the day), but they can’t display colors. The Bloom is a unique RGB lamp that you put on the floor or on a table, and point at the wall to “paint” it with light. It’s a really cool effect, and since it’s a standalone light fixture, you won’t have to use one of your existing lamps to use it. I don’t know your life, but I bet there’s something you need in today’s Gold Box of AmazonBasics electronics and accessories. Maybe you’ve been meaning to buy a UPS and just haven’t gotten around to it. 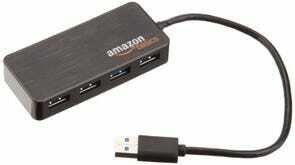 Maybe, like me, you’re a peripheral junkie, and you need a USB hub to support your habit. Perhaps your New Year’s resolution is to finally start that podcast or YouTube channel, but you need a microphone to do it. There’s nothing fancy about these TVs. The 55" is 4K, and the 50" is 1080p, but neither have HDR or any kind of smart functionality. But price is the most important spec for, say, a bedroom TV, and these hit the mark at $260 and $220, respectively. Anker’s newest compact power strip can stick to your wall or the underside of your desk thanks to the included adhesive, and has every power connection you could need. We’re talking two AC outlets, two 12W USB ports with Anker’s PowerIQ tech, and even a USB-C port with 30W Power Delivery for laptops, Nintendo Switches, and other high-draw devices. Get it for $28 today with promo code ANKERPS1, and you’ll never be out of juice. You might not need to use it often, but a car inverter is one of those “just in case” things that you should always keep in your trunk or glove box. And at $12 with code SVSG5UQU, why wouldn’t you? This model can output 150W, which should be more than enough for most laptops, and it also has a couple of USB ports for your mobile devices as well. If you got any new gadgets over the holidays, there’s a decent chance they charge over USB-C.
Sony’s newest noise-canceling headphones? You get the idea. So if you suddenly have a handful of USB-C gadgets, and not enough charging cables to go around, you can fix that today for $10 with promo code CHRS8888. That gets you a 6' long PowerLine+ cable from Anker. It’s ultra-durable, wrapped in nylon, and ] bright red to make it easier to spot in your bag amongst all the other cords. Any number of remotes more than one remote is too many, and this $33 Logitech Harmony can combine all of your disparate remotes into one. The Harmony 650 can control up to eight of your favorite home theater devices (from a database of nearly 250,000), and programmable macros like “watch a Blu-ray” can turn on all of the necessary devices, and switch a TV to the correct input with just a single button press. 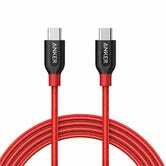 Anker PowerLine+ II 6' Lightning Cable | $13 | Amazon | Promo code CHRS8453. Multiple colors available. That confusion can now become a thing of the past, because they’ve combined the best of all of their cables into the new PowerLine+ II, and you can save on the 10‘ Lightning version today for the first time ever. It’s incredibly durable, it’s wrapped in nylon, and it comes with a lifetime warranty, meaning it’s probably the last Lightning cable you’ll ever have to buy. Get it in any color you want today for $14, or about $6 less than usual, with promo code CHRS8453. 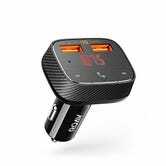 Anker’s Roav brand, the manufacturer of an incredibly popular dash cam, also makes some seriously smart car chargers. This one’s only $14 today with promo code ROAVF0BS. The SmartCharge F0 is an FM transmitter that takes the Bluetooth signal from your phone, and rebroadcasts it the FM radio station of your choice, giving you truly wireless audio and handsfree calls in older vehicles that don’t have Bluetooth or even an AUX jack built in. And since this is an Anker brand, you also get two high speed USB charging ports. 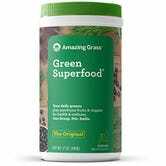 Amazing Grass’s superfood organic powder has insanely good reviews, and each serving includes three or more servings of greens, fruits and vegetables that you can mix into just about anything. 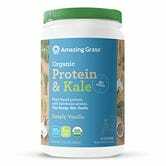 Today only, 30, 60, and 100 serving tubs are on sale for the best prices ever after, in addition to deals the company’s protein + kale powders. Eating more veggies in 2019 just got easier. 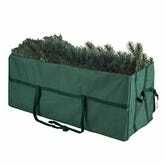 If you use an artificial Christmas tree, and you’re still storing it in the moldy, beat-up cardboard box it came in, do yourself a favor and grab this Christmas tree storage bag for $32 on Amazon today. It’s big enough to hold a 9' tree, and its heavy duty canvas construction should hold together for many Christmases to come. Don’t have the counter space for a knife block, and don’t want to drill holes in your apartment’s backsplash to hang a magnetic knife strip? That’s the situation I found myself in after a recent move, and I solved it with an in-drawer knife block just like this one. 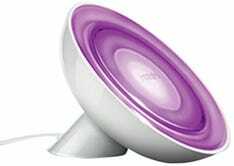 Own an oil diffuser? Stock up on all of the essential oils you could ever want with this limited time Amazon sale. Lemon, lavender, clove? Frankincense and myrrh? It’s all here. 20% off Select Happy Belly Trail Mix | Amazon | Clip the coupon. Multiple flavors available. Did you know Amazon makes its own trail mix? And that it’s actually really good? They’re offering a 20% year-end coupon on a variety of flavors today, including the classic nuts, chocolate, & dried fruit bag. And in addition to the 20% coupon, you can save even more when you use Subscribe & Save. ThermoWorks’ ThermoPop is the less expensive and ever-so-slightly slower little brother of our readers’ favorite meat thermometer, and the company is offering a rare deal on it today. Pay just $33 after adding in the $4 flat rate shipping. It’s only $5 less than usual, but this one doesn’t go on sale often. Every year, Stella Artois sells a charity chalice to benefit water.org. This year’s model features an etching designed by Mexican artist Silvana Àvila, and for every one you buy, Stella Artois will donate five years of clean drinking water to someone in need. So why wouldn’t you buy it for $8? OxyLED is best known for its battery-powered light strips, but this discounted kit plugs into an AC outlet, and is designed specifically for under-cabinet installation. 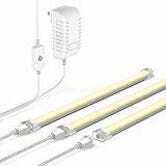 The $20 kit (with promo code D3D329HJ) comes with three foot-long LED light bars, plus three connecting cables. You can either plug the bars into each other to create a longer strip, or use the cables to snake around corners and extend your setup. Once it’s all installed, just use the touch-sensitive power button to turn them on and adjust the brightness, and enjoy a well-lit countertop while you prepare dinner. 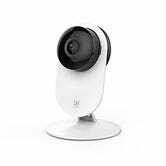 Our readers have bought thousands of Yi’s home security cameras, and today, you can get a 1080p model for $25, the best price we’ve seen — just clip the coupon on the page and apply code YI4HOME8. Yi now offers an online cloud DVR service that will store seven days of motion detection footage (six second clips when it detects movement) for free, or more footage if you pay. That said, you can choose for forego the cloud service altogether, and just store your clips locally on a microSD card. The camera also has two-way intercom and live broadcast built in, so you can check in on your house any time you want. If it’s your dream to get some solid shut-eye for once in your life, why not give melatonin gummies a try? You can get these strawberry-flavored ones by Solimo for just $8 on Amazon today (or a little more if you don’t want to use Subscribe & Save). Not to mention, they’re gluten-free, wheat-free, dairy-free, soy-free, and egg-free. If nothing else, you should keep them handy for overnight flights and other particularly challenging sleep situations. Extra bedding and off-season clothes can eat up a lot of room in your closet. Pack it all up in this $11 underbed storage bag (with code BLWAFN9I). It’s a couple bucks off today and the best price we’ve seen since April. Once you’ve gotten used to keeping a multi-tool on you, it can be hard to go without. But the TSA doesn’t care about that, and good luck getting your Leatherman on a plane. Firstleaf is an online wine club that learns your preferences, offers tons of options, and most importantly, saves you money compared to buying from the store. It’s a solid deal any time, but it’s even better for our readers from now through the holidays. Every new Firstleaf member gets an introductory delivery with three bottles of wine for just $15, plus $5 shipping. Every box thereafter includes six bottles for $80, plus $10 shipping. If you use this link and promo code Kinja when you sign up though, you’ll get free shipping on every box for your entire first year. That’ll save you over $100 if you get a new box every month. It’s January, that one magical month per year when fitness and weight loss supplements must fly off Amazon’s shelves. 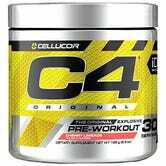 Today only, Amazon’s running a huge Gold Box sale on supplements from a variety of brands, including Cellucor C4, Genius Burn and Caffeine, Optimum Nutrition, and more. 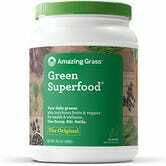 Protein powders, weight loss supplements, energy bars, probiotics...there’s almost definitely something in this sale that you could use, so place your order before prices go back to normal at the end of the day. This sale will have you feeling blue — in a good way — and saving some green. For a limited time, Levi’s is taking 40% off their already-discounted sale section in honor of the New Year with promo code WINTER40. So now’s the time to swath yourself and everyone you know in denim. 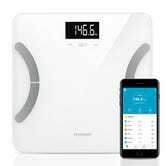 If you’re hoping to lose a few pounds in 2019, you’ll want to be able to, you know, weigh yourself. 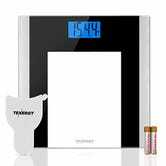 Today only, Amazon’s offering big savings on a variety of Tenergy scales, including regular bathroom scales, smart scales that sync to your phone, and even kitchen scales so you can weigh the things that are going into your body, which is kind of important. Thousands of our readers have bought Bowflex’s adjustable SelectTech dumbbells, and you can put them in your own home gym today for $224 when you clip the 10% off coupon. 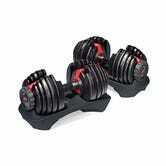 That’s a decent chunk of change, but they barely take up any space, each dumbbell can go up to 52.5 pounds (apologies to your delivery driver) and make it more likely that you’ll work out this winter when it’s too cold to go to the gym. They’ve been cheaper before, most notably last April, when Amazon and Walmart got into a bizarre automated price war, but this is still the best price we’ve seen since February. Talk about finishing strong — Eddie Bauer is closing out the year by taking an extra 60% off clearance via code NEWYEAR60. You can get some pretty great prices — like some even under $10 — on clothes, shoes, and accessories, so there’s never been a better time to gear up for whatever adventures await you in 2019. Didn’t get what you wanted for Christmas? Good news: L.L. Bean is taking an extra 25% off sale and clearance items via code EXTRA25, so if you had any kind of outdoorsy shoes or clothes on your list, you can get them now and save at the same time. Belated happy holidays to you! 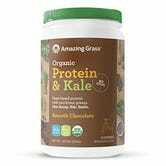 Whether you’re the type to start your day with a good ol’ fashioned multivitamin or just looking to bulk up with a post-workout protein shake, you’ll find a supplement worth swallowing at Amazon’s sale on their exclusive wellness and sports nutrition brands. Take up to 30% off everything from children’s gummy vitamins to melatonin sleep aids, and start the new year at the top of your health game. Cole Haan makes some seriously great shoes for any occasion, and if you’re looking for a new pair but don’t want to spend the normal asking price, they’re taking an extra 40% off their sale section with the code SAVE. We expect that this will be their last big sale of the year. Finally get a pair of ZERØGRAND’s (or the newer 2.ZERØGRAND’s), waterproof boots for the winter, or even the new Stitchlite Wool chukkas and oxfords, which were added to the sale section recently. Zappos is basically a one-stop shoe destination already, but right now, they’re having an actual sale, marking down nearly 75,000 shoes, boots, and apparel for the winter season. Heels, boots, sneakers, sweaters, layering pieces, all kinds of styles from brands like UGG, Adidas, Nike, SOREL, Converse, Dr. Martens, and more. Stock up for the season while you can. Obviously, it’s a lot to sort through, so I recommend first sorting by gender in the sidebar, then going through the brand selector and picking your favorites. We’re not even a full week into winter, but Sperry is here to help you bundle up from head to toe with its new semi-annual sale. The deals lean heavily on coats, beanies, jackets, and of course, warm, waterproof boots. The deals are up to 50% off, and shipping is always free, so don’t pigenonhole them as “the boat shoe company,” because there’s a lot to love here for any season. Nordstrom has three large sales each year: The Anniversary Sale and two The Half-Yearly Sales. Well, today is basically the end of the year, so Nordstrom is taking up to 50% off a boatload of styles for men, women, and kids. Brands as disparate as Cole Haan, Gucci, J.Crew, and Nike are all included in the sale, so it’ll take time to look through all the stuff. Maybe pencil it in as a meeting at work or something, it’s not like anybody’s actually getting anything done this week anyway. We’ve gotten pretty used to wide-ranging REI sales over the past month or so, but the holidays are winding down, and their days are numbered. So if you want to save on reader-favorite brands like Smartwool, Patagonia, Marmot, and The North Face (just to name a few), you’ll want to check out the outdoor megastore’s year-end clearance, offering up to 50% off select styles. Now you can officially commit to a New Year’s resolution of spending more time outdoors.